One of the simplest, most cost-effective ways to improve the look and value of your property, power or pressure washing is a highly efficient technique that can safely be used to remove dust, rust, mud, and other types of dirt from a wide variety of surfaces. And if you’re looking for quality power washing services in Phoenix, AZ, ours is the team to trust. At The Perfectionist Cleaning Services, our power washing services are designed to get your property looking its best. No matter how dirty or stained your surfaces are, we’re ready to attack the problem using state-of-the-art equipment and techniques. Whether you want to remove graffiti, oil and grease, mildew, or any other unwanted stains, we can provide you with a customized cleaning solution designed to produce remarkable results. 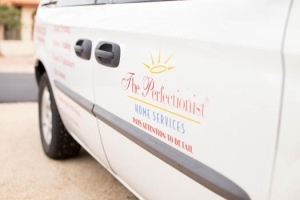 For more information about our power washing services or to schedule an estimate on any of our deep cleaning services, call The Perfectionist Cleaning Services today at 602-493-1233.